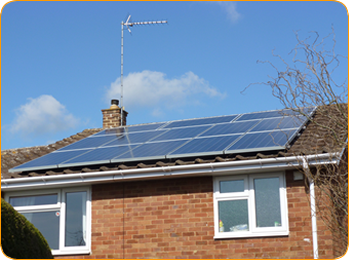 A 2.3kWh Solar PV electricity system installed in Kettering, Northamptonshire by Nene Valley Eco Home Improvements. “The team at Nene Valley Eco Home Improvements were honest, friendly, helpful, professional and local to us too. There was no pressure put upon us to buy, unlike some of the other companies we’d had to give us a quote. 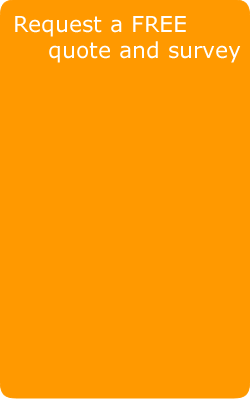 “With the governments guaranteed Feed-in Tariff scheme, fitting Solar PV made real financial sense for us." 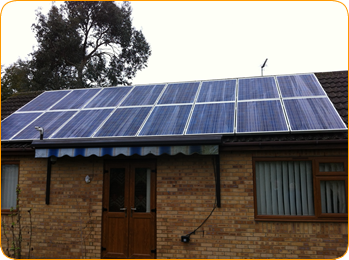 A bungalow in Broughton, Northamptonshire fitted with a Nene Valley Eco Home Improvements solar PV system. After reading in the newspaper how good the return on investment was for solar PV electricity systems - even with the new reduced government Feed-In Tariff of 21 pence - homeowner, Mr Falkner, chose Nene Valley Eco Home Improvements to install a 3.6kWh solar PV system consisting of 16 Suntech panels at his property. A 3kWh Nene Valley Eco Home Improvements solar PV electricity system has been installed in a village to the west of Northampton. 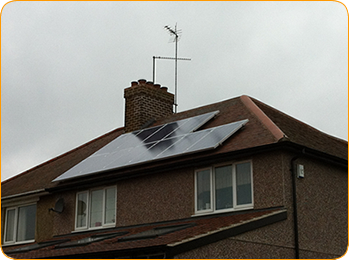 The system uses 13 Axitec panels, an SMA Inverter and free Sunny Beam energy monitoring device.